Colorectal cancer has taken the second place in incidence of cancer. People with a family history of colorectal cancer suffering from the disease rate is twice higher than the average, and male is slightly higher than female. In Taiwan, colorectal cancer has risen to the third place of cause of death for cancer. Looking around Asia, even to the global, colorectal cancer is one of the major fatal diseases. Although colorectal cancer is the world's common threat of health, through the early detection and early treatment, colorectal cancer patients still have very high cure rate. 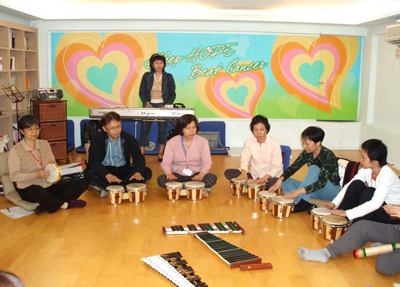 The Hope Foundation for Cancer Care consists of a group of medical professionals as well as cancer patients, family members, and social workers closely bound with a common concern for improving cancer care in Taiwan. Our three main goals are patient services, cancer information and education, and public policy advocacy. We hope to help improving medical systems and social environment for cancer care in order to meet the needs of cancer patients and families. 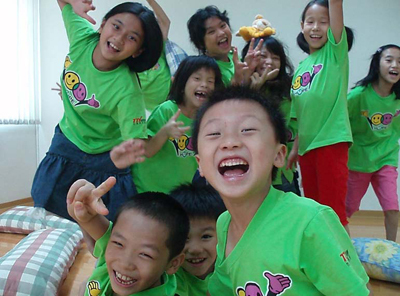 With accurate information and proper medical treatment provided, and emotional support and social resources accessible, we believe that patients and their families will regain their health and return to society as soon as possible. From the view of the growing threat of colorectal cancer among people, with the assistance of the Pfizer Foundation and the American Cancer Society, Hope Foundation establish this Mandarin website for colorectal cancer care in Dec, 2008. Through the advocacy of "early screening then early treatment”, we hope to minimize the threat by colorectal cancer. In addition to the awareness of regular screening, we have to remind people that keeping a good lifestyle and diet could also prevent colorectal cancer occurred. It is our mission to let people find everything about colorectal cancer in this website. If you are unfortunately suffering from cancer, do not lose hope. The doctor and all of us will help you through the hard time then getting well! Let's be aware of the health of the bowel. And wish all of us have a nice bowel! 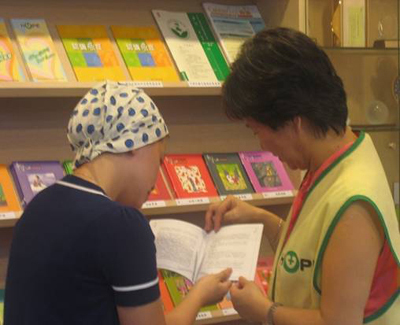 Hope Stations provide supplies like a “convenience store” to cancer patients. You can help establish more Hope Stations or participate as service providers. 癌症希望基金會 版權所有 © 2017 Hope Foundation for Cancer Care All Rights Reserved.